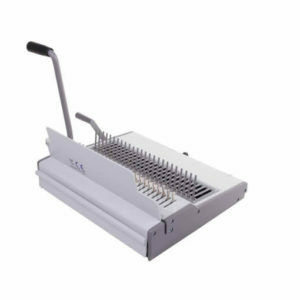 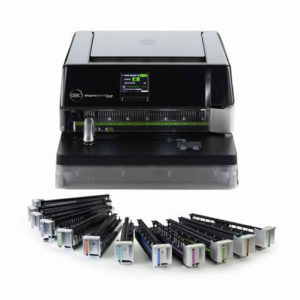 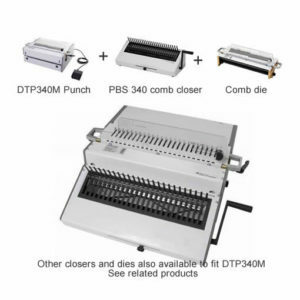 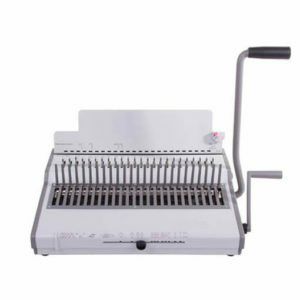 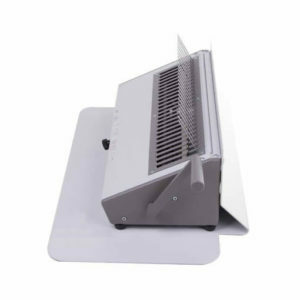 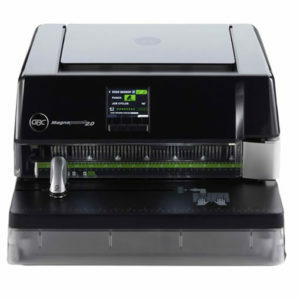 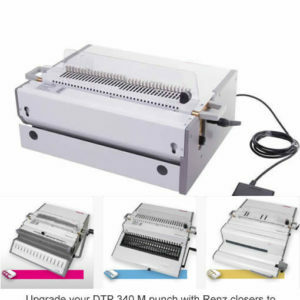 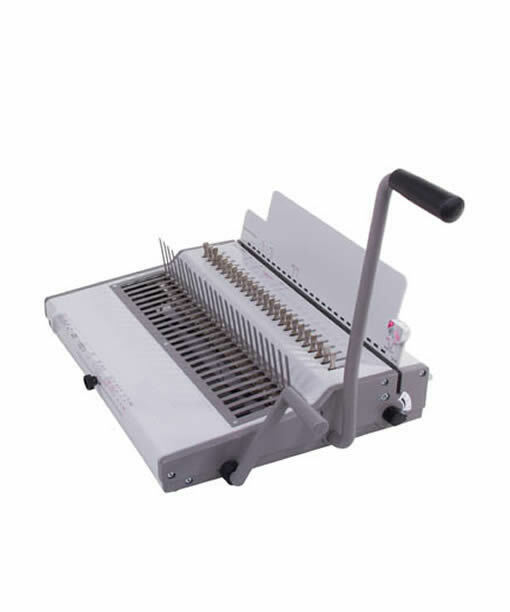 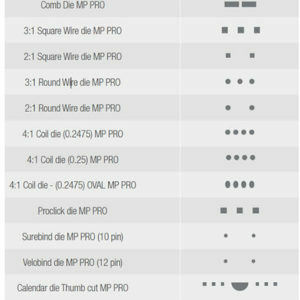 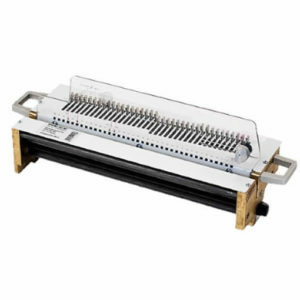 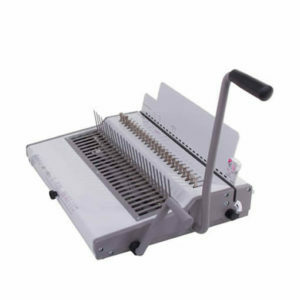 Highly efficient design layout of vertical punching for improved paper jogging ensures that once the paper is punched there is no need to change hand grip and the paper is simply brought forward onto the open comb binder. 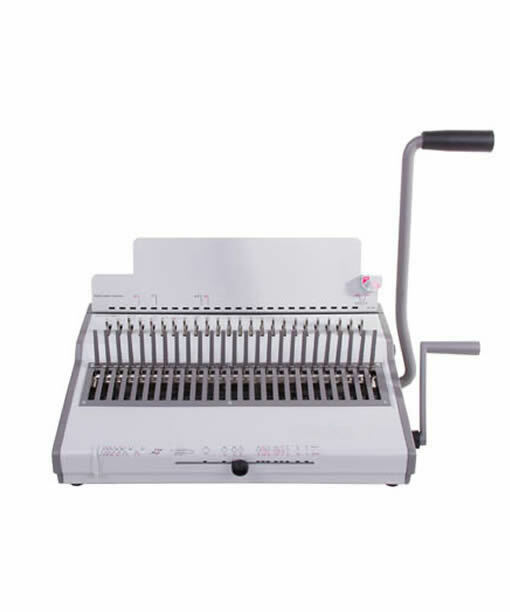 Punch capacity of around 25 sheets in exceptional for a manual machine and there is a very long handle to make this an easy job too! 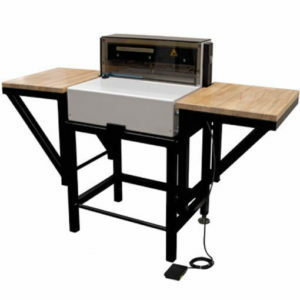 It has an adjustable margin depth gauge. 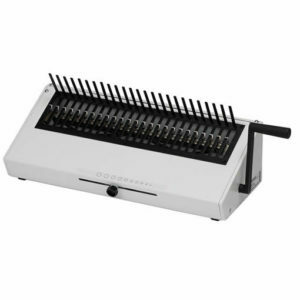 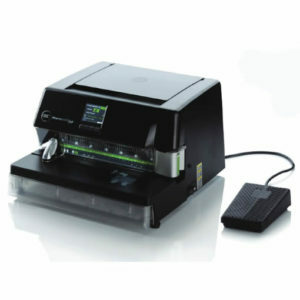 Built in gauge for measuring book thickness and comb size selection. 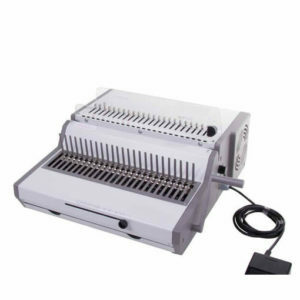 Virtually unjammable due to the same mechanism and force used to punch is also used to retract the punches. 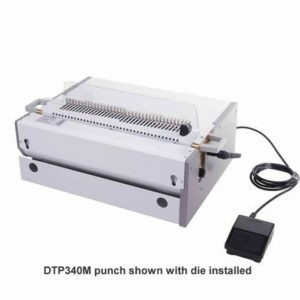 Other machines fail badly on this point by using a weaker system to retract the punches, resulting in internal parts snapping. 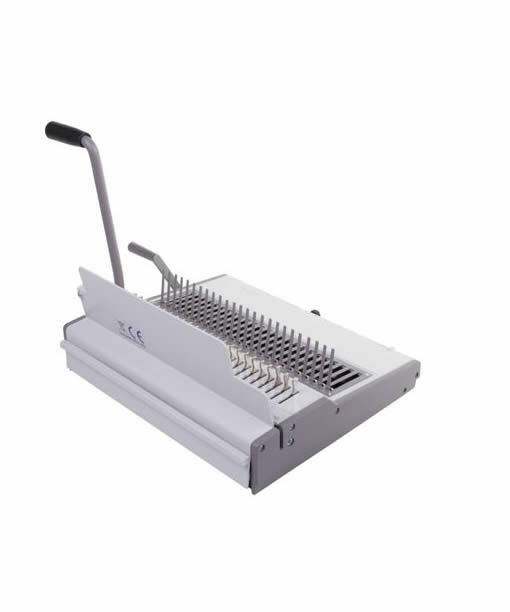 High quality hardened steel punching dies.